Nothing says the end of a meal like a good cheeseboard. 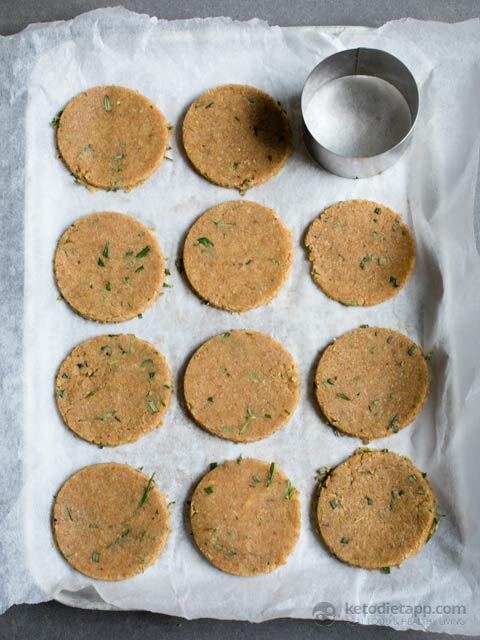 These Keto rosemary and onion crackers are the perfect accompaniment. They’re moist, crumbly and just like the real deal but without the grains. 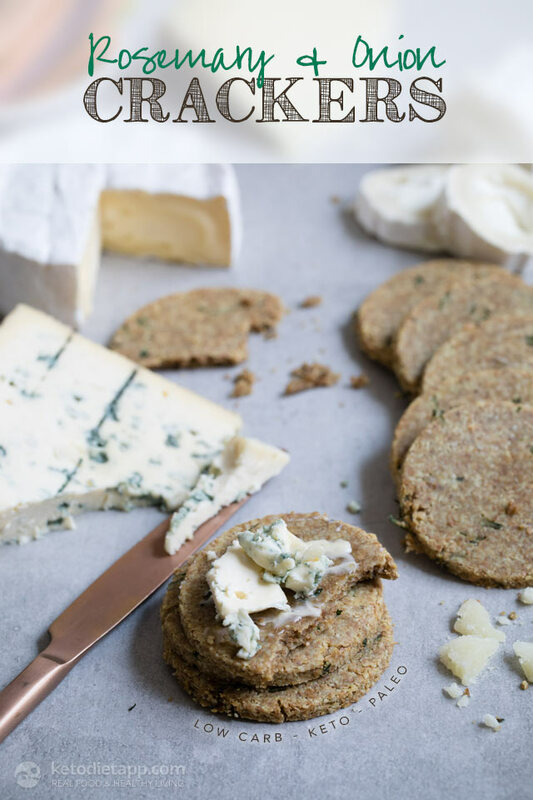 Taste delicious simply on their own with a little raw butter, stacked with your favourite cheese or why not take them for a snack when you’re on the go? So easy to make and keep well in a tupperware too, though I have to be honest mine never make it past the end of the day! Preheat the oven to 170 °C/ 340 °F (fan assisted). In a Vitamix, blitz the flax seeds to a flour consistency or alternatively you can buy ground flax seeds. Chop the rosemary leaves up fine. Add the ground almonds, flax, chopped rosemary, onion powder, bicarbonate of soda, salt and pepper to a large bowl and mix. In another bowl, crack open the egg and whisk with the extra virgin olive oil. Add the wet ingredients to the dry and mix until combined. 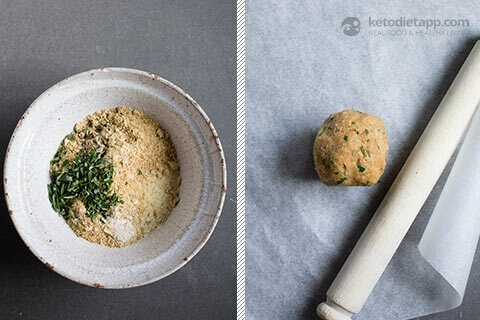 Roll the grain free dough into a ball and place between two sheets of greaseproof paper. 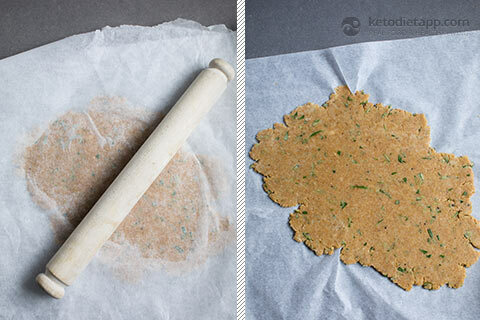 Using a rolling pin, roll the dough flat, about 1/2 cm (1/4 inch) thick. Using a cookie cutter, press out your biscuits and place on a greaseproof lined baking tray. Roll up the left over dough and repeat the previous step as any times as necessary until you have used up all the dough. Bake in the oven for 12 - 15 minutes until golden. Allow to cool on a wire baking rack before serving. Top with butter and your favourite cheese for the ultimate Keto cheeseboard. Can you recommend an alternative to almonds for those of us w almond allergy? The crackers are wonderfull. I roll them out thinner ( preference) and can make 22 out of one batch. The crackers don’t break even in my purse. Great on the go. Thanks!!!! You can use almond flour instead but you may need to adjust the liquid ingredients so that the dough is not too wet (or additionally to the 1/2 of extra almond flour, adding 1-2 tablespoons of ground chia seeds will take care of any excess moisture). Thanks for supplying the recipe Jo. 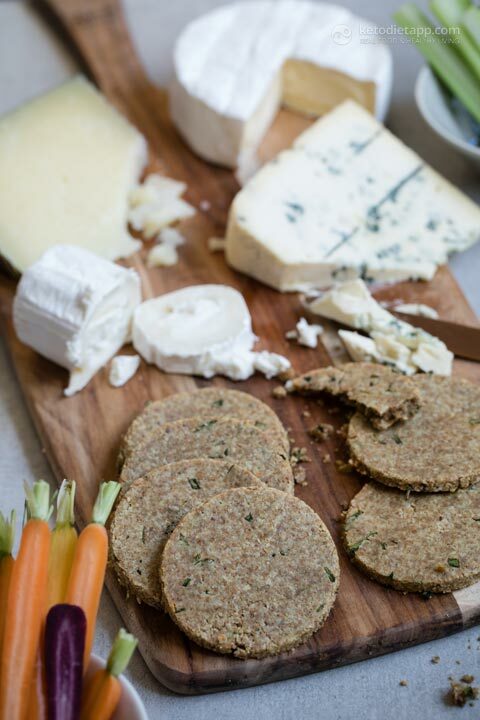 Linda and I love our keto cheeses, but the problem is no keto crackers. 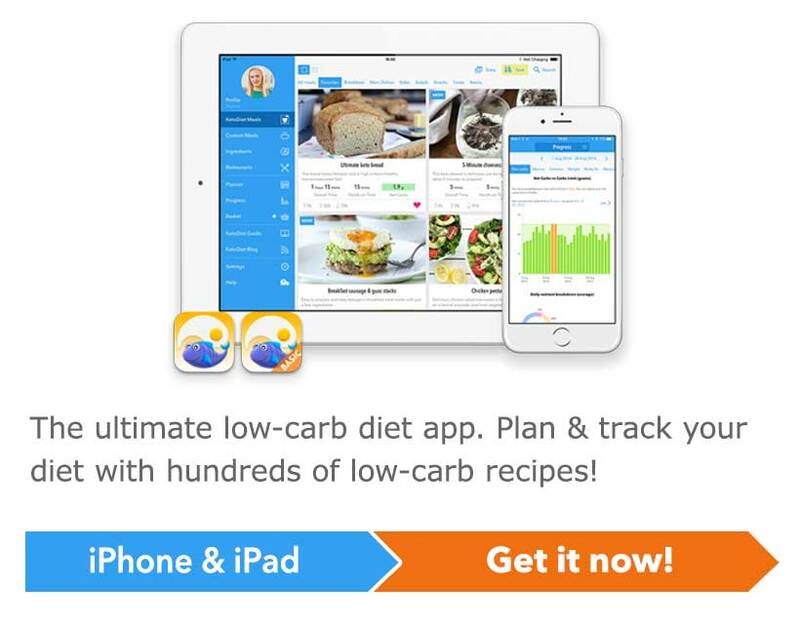 Your recipe is so easy too. Thanks for sharing. Can you use almond meal for these? They're awasome! Thanks for great recipe. We've made ours with garlic powder instead of onion and came out delicious too. I found these very interesting, they're completely different from store bought crackers. Think I'll like them very much, excited to taste them!